The apocalypse. One day, it may happen. Humanity wiped out, our great cities and landmarks dashed to ruin, cars rusting along overgrown highways and strange creatures living among what we left behind. Many games and movies have painted pictures of the post-apocalypse: Horizon: Zero Dawn, Fallout, Mad Max Fury Road and The Terminator. Some people even posit that The Flintstones is set in a post-apocalypse, living in the ruins of humanity whilst The Jetsons swoop between the stars above them. In the year of 2018, a new post-apocalyptic game was released by Swedish studio The Bearded Ladies (This is Them!) and published by Funcom, who also published such games as Age of Conan – Anarchy Online and the rather excellent Longest Journey series. What is this piece of interactive media called though? Dear reader, I present to you Mutant: Year Zero – Road to Eden. This game was released right at the end of 2018 and is touted as something as a cross between an RPG and an XCOM-style turn-based strategy game, something which sounds like music to my (and I’m sure many other gamers’) ears, a combination that has perhaps never been tried before. It also boasts unique and interesting characters, varied and stylish abilities to unlock and tons of fun weapons and gear to use. Does Mutant: Year Zero survive the gaming apocalypse, or is it just another ruin filled with ghouls? Let us find out together! Whilst I can’t speak for any other version of this game, the PS4 version is not going to win any awards for being easy on the eye. Whilst one must take into account the scene the game is trying to set, a bleak and unforgiving world of ruin, a little more colour certainly wouldn’t have gone amiss. Your party moves through a world made up almost entirely of green foliage, brown dirt, grey stone and rusty metal. A little more colour, a la Horizon: Zero Dawn, would have really made the whole affair more stimulating for the eye. Even the hub area, The Ark, lacks any real personality, though thankfully not to the extent of Avalanche Studio’s Mad Max game, where the settlements looked great from the outside but incredibly empty within. The Ark does at least contain some interesting characters and the shops and bar look like they have a bit of character to them, I just feel that The Bearded Ladies (This is Them!) could have made the environments a little more vibrant and impart a stronger sense of personality to them. Mutant’s real visual strength is its approach to character design, which goes some way toward making up for its weaknesses. The first thing I saw of this game was artwork of a character called Dux, who is literally a human/duck hybrid wearing a top hat, smoking a cigar and carrying a crossbow. It was such an eye catching image that I couldn’t help but want to check this game out and play as this zany looking dude. Dux isn’t even the only animal/human hybrid in the game, for there is also a fox and boar variant to be recruited. Even Selma, the party’s more human looking member, is well designed and has plenty of personality in her animations and general looks. Sadly, the enemy designs are not afforded the same degree of variation or imagination. The party’s main enemies are the ghouls, the sad, twisted remains of humanity that lurk around the wastes in search of ways to topple The Ark and have at its dwindling riches. Now, do we all remember the fellow in the gas mask from the box art for Borderlands? That’s pretty much most of the enemies one will face during this adventure. Whilst there are some nasty wild beasts and some battered old robots to break things up a little, gas masks and leather pretty much make up the majority of what you will be shooting at here. The gear that the heroes can pick up during their journey is pretty well designed, an interesting mix of makeshift, cobbled together weapons, “ancient” guns that are contemporary to the here and now, and a few more futuristic-looking pieces that wouldn’t look out of place in XCOM. Armour pieces all look worn and beaten up, as any salvaged item of protective clothing should be, and the head wear is often both stylish and funny (such as Dux’s top hat and a fisherman’s hat that says “kiss me quick” on the brim). All of these little touches, when added to the excellent design of the playable characters, adds up to a visually pleasing little package. Sadly that package is lost in a dark mail room full of washed out colours, samey enemies and often visually un-stimulating buildings and ruins. Mutant: Year Zero wants to be an atmospheric sort of game, painting a picture of a grim world beyond redemption. To sell its players on this notion, The Bearded Ladies (This is Them!) managed to provide the game with a gentle, dynamic soundtrack that lies mostly dormant whilst the party is exploring and picking up scrap only to intensify in pace and urgency once the bullets start to fly. The music itself is very much thematically correct for this kind of story, with haunting and downbeat ambient music. At points it reminded me of Vangelis’s Blade Runner soundtrack, full of futuristic synth notes and strange echoes. The soundtrack is pretty great for this game, though sadly the PS4 version did have some issues with the music cutting in and out when maps first load or when the game is unpaused. It only lasts for a few seconds but it is very noticeable and not exactly great in a finished game. The general sounds of the Year Zero universe are a little more stable thankfully. Twigs break and leaves rustle underfoot as Bormin and co. trudge through the undergrowth, distant (and not so distant) Zone Dogs howl and bark, and the occasional bird bursting from the trees creates a satisfyingly realistic sound effect. Gunfire also sounds decent, rifles make a satisfyingly sharp crack, shotguns roar loudly, and Dux’s crossbow bolts whistle through the air to give ghouls a good sorting out. Petrol bombs and grenades also thump and whoosh satisfactorily with a nice amount of bass, really helping you feel that explosion. Voice acting is similarly robust in this game. Each of the good guys are well cast, Bormin (Enzo Squillino Jr.) is the gruff leader, Dux (Jared Zeus) is sarcastic and dry, and Selma (Elizabeth Croft) comes across as a seasoned and competent stalker. Magnus and Farrow have also been selected with some care, as well as the voices of the elder and his fellow residents back at the Ark. The ghouls are also pretty strongly voiced, even if they do all have very similar sounding voices. It helps that all of them sound both creepy and totally, bat-guano insane, raging gutturally through their gas masks as they charge into battle. It’s also a neat touch that they throw shade at the heroes during battles, shouting things like “go for the spare rib!” if they are taking aim at Bormin or making similar, avian-based jokes at the expense of Dux, for instance. This helps to add a touch of individuality, even if it does get repeated every now and again. It makes battles feel more real. Mutant: Year Zero has something of an interesting gameplay loop to it which, whilst certainly derivative of games like XCOM, and I mean very derivative, also makes a few new adjustments to keep the whole thing feeling fresh. Most of one’s time spent playing this game will be spent steering your party of misfits around various maps, all of which are connected by an overworld map that allows the player to navigate between locations and keep an eye on the whereabouts of the next objective. Steering your team on each map is done from a camera angle very similar to that found in the Diablo or Baldur’s Gate series, the camera above and slightly to the side to allow a wide field of view whilst keeping the characters in the center. Whilst exploring and collecting loot, the team have their flashlights activated and can be controlled separately or all together. Combat in Mutant: Year Zero is highly tactical, players are encouraged from the beginning to get the drop on enemies, use stealth to whittle down any stragglers and then move into the perfect cover to spring an ambush. This encouragement is certainly justified, too; just charging straight into battle will inevitably end up in your team getting murdered before you even manage to make a dent in the opposition. Activating stealth mode takes a mere button press, which switches off the team’s flashlights and forces them to move more slowly and quietly. Enemies within their line of sight are highlighted by a red circle, which differs in size depending on the type of baddie. This circle acts as their detection range and, if one of your characters is caught within its radius, battle will commence with the baddies getting the first turn (which can be catastrophic, needless to say). Instead, one can use nearby terrain to hide. If a player is hidden, then the red circle will simply pass over them without result and, on the player’s discretion, the good guys can initiate an ambush. If silenced weapons such as Dux’s crossbow are used to attack and the enemy is killed before the end of the player’s turn then the battle may not begin, landing one back into exploration mode minus one dead mook. It is worth mentioning, however, that enemies do also seem to have a sound detection radius too, though this is never made visible to the player, adding an element of risk to springing an ambush. Height advantage is an important parameter during battles, with those on higher ground enjoying a bonus to their accuracy and defense stats. For instance, shooting at a ghoul from behind a car will offer only a 50% chance to hit, yet if the same character was sat atop a house then that percentage will be higher. This is why utilizing stealth mode is so important pre-battle, your party will fare much better with a little preparation and you’re more likely to succeed in sending a few ghouls to hell. Combat itself is where the XCOM comparisons really come into play. If you’ve ever played any of those titles then you’ll feel instantly at home with Mutant’s battle system. For those who haven’t had that pleasure, allow me to explain how it all works. Battles are turn based and each combatant on the map typically has two actions to take, though discharging a weapon does automatically end their turn. Much like that tabletop stalwart Dungeons & Dragons, turns typically consist of a movement phase and end with an action, though one can choose to forego their movement phase in order to reload or activate a skill specific to that character. Your team won’t last long out in the open, however, so taking cover should be an immediate priority once the ruckus begins. Cover comes in two flavours, partial and full, which are designated by a half filled or fully solid shield symbol superimposed over the potential hiding place. Partial cover is certainly better than nothing but a wise player will always try and get some full cover between them and the enemy. Movement during battle is limited, denoted by coloured squares into which the stalker can move. White squares are in the immediate vicinity and, if moved into, the stalker is still able to take their second action. Beyond these are orange squares, which denote the extremities to which you can move. Moving into one of these squares uses both actions at once and ends their turn. Shooting also works very similarly to XCOM. As I mentioned earlier, shot accuracy is presented with a percentage. For example, a 25% chance to hit is barely worth taking whilst 100% is a certified hit. Like I said, height can modify these numbers in a character’s favour, including enemies. Damage dealt is governed by what weapon you’re using. Bormin’s shotgun will always mess up a ghoul more than Selma’s handgun and lord help anyone who gets tagged by some of the more beastly ghoul types or bosses. There is also a chance of scoring a critical hit, also displayed via a percentage bar. Landing one of these will multiply the damage dealt, be it on an enemy or an ally, which adds even more unpredictability into the mix. All said, I found this game to be incredibly difficult, especially early on, and that challenge proved to be more of a roadblock that put me off playing than a lesson to inspire me to go again. This game really got me thinking about how it is both unique and derivative at the same time. As stated previously, the combat is so close to the XCOM series that it may as well be it. Cover, skills, visual cues, even the overwatch command are all lifted right out of that series with very little changes made. However, the way the combat fits into the larger picture is a little more interesting. Whilst exploring the overworld is straightforward enough and collecting loot and exploring in this style has been around since games like Fallout, no game to my knowledge has hybridized it with XCOM’s battle system before. Add to this union the stealth system, which acts as an intermediary step which, used efficiently, can be used to take out a couple of enemies at your leisure and you have a robust gameplay loop that stands out from similar games. The Ark acts as the game’s hub, where one can trade items and upgrade gear, similar in purpose to XCOM’s command center. Again, it is in no way a new concept but it feels fresh in that it can be fast traveled to and from at any time using the overworld map, as can any other previously visited location. This takes away the irritation of backtracking all the time and is another example of a tried formula being used in a new way. The real sense of uniqueness is in the characters themselves. How many gritty, violent games feature a mutant boar, duck, and fox, along with a few other interesting party members? They’re not quite the Teenage Mutant Ninja Turtles but these half animal/half human creatures are brilliant to behold and have good, strong personalities. If only the plot and universe was a little more distinct; post-apocalypse tales are a dime a dozen in the medium of video games and this one doesn’t do too much to stand out from the crowd past having interesting main characters. Each stalker also has a range of abilities to be unlocked that can then be used in battle and can be gained by leveling up. Abilities include being able to grow wings for a turn for a one shot height advantage, an ability that allows a stalker to move into orange squares and still take an action, and a very handy skill that allows a stalker to treat partial cover as full cover. There are also a range of passive abilities, increasing maximum health, inventory space and evasion. These abilities and buffs can really turn the tables during a shootout, making the party feel more and more versatile and competent as the game goes on. My only complaint in regard to the abilities is that certain ones are repeated across more than one character. Whilst only a minor gripe I think that this was a missed opportunity; unique ability sets for each character would have made each one more unique and encouraged more strategic party building. Experience points can only be earned through battle, so poking around in the woods looking for wild Zone Dogs is a must use strategy early on, Bormin and Dux will need some extra help to power through early battles. They also have access to a range of handy items, purchased from various vendors at the Ark. The most important of these, especially early on, will be medkits. If one of your team should be reduced to zero health points then they will enter a near death state referred to as bleeding out. This will provide the player with a couple of turns to get an ally over to the fallen stalker and use a medkit to revive them. Should one fail to do this then the game will be over. Also available are a range of throwable weapons such as grenades, molotov cocktails and EMP bombs that are handy for temporarily disabling robot enemies. However, all these things cost scrap, which must be salvaged from the Zone and from fallen enemies. You can also find rare weapon parts during your adventures in the Zone, which can be spent on new weapons or upgrading the ones you already have. Upgrades improve accuracy, damage and critical hit chance, all of which can turn the tide in battle. Some items salvaged from your adventures can also be attached to guns, such as laser sights or scopes (all of which have unusual names, given that the denizens of post-apocalypse Earth would have only a limited idea of what these items are). It’s always a bit of a waiting game, wondering if you should spend precious weapon parts on an upgrade or just wait to find a new, more lethal weapon out in the field. Whilst the combat loop of Mutant is highly derivative, it is still solidly built and provides the player with plenty of thrills. The surrounding elements of exploration, loot hunting and acquiring new skills and gear really backs the combat up and, when combined, makes for a pretty interesting overall experience. Mutant:’s Year Zero‘s story isn’t anything new, in fact it has been taken on by a variety of different games and movies over the years. Such examples include the recent Netflix movie Bird Box, I Am Legend, The Maze Runner and games like The Last of Us. It is the time-honoured tale of post-apocalypse survivors looking for a fabled safe place, an escape from the death and destruction that is all around them. This game’s tale centers around Bormin and Dux, two mutants who work for the Ark, which as far as its denizens are concerned is the last bulwark of civilisation in a ruined world. The game begins with the duo returning from a routine scrap run and wiping out a gang of ghouls, the feral dregs of humanity that are attempting to invade the Ark. After this they are given a mission by the Ark’s leader, the elder. He asks them to set back out immediately and make contact with a famous stalker called Hammon, who has disappeared along with his gang. What follows is a long and grueling journey for our heroes, as they attempt to find Hammon and find out exactly why he has abandoned his post. Along the way they will meet new allies, such as Selma and Magnus, alongside a whole gamut of less friendly individuals. Whilst the story isn’t exactly setting the world on fire, the smaller elements do make up for it. The camaraderie and banter between the heroes is brilliant and often quite funny, especially when they discuss their thoughts on how the pre-apocalyptic world worked. It’s also cute that Dux is happy to say “what the duck?” instead of cussing, somehow makes his duck-like visage even more adorable. As I talked about earlier, enemies also have a similar patter between them, a fact that goes some way toward making up for their samey looks. The Ark itself also features some engaging characters. Whilst the elder himself is a bit one note (the archetypal wise, mysterious old man), the others are more interesting. Delta fixes up the team’s weapons and often provides a wise word about her specialist subject and Iridia, a gas mask wearing merchant, provides the gang with everything they need and Pripp is a friendly barman who exchanges useful upgrades for ancient relics. These characters help to add a little life into the Ark, which otherwise can seem a little empty. In terms of similar narratives, I would recommend some of the stories from the long running British comic series, 2000AD (most famous for Judge Dredd). The world of Mutant gives out a real Cursed Earth vibe. 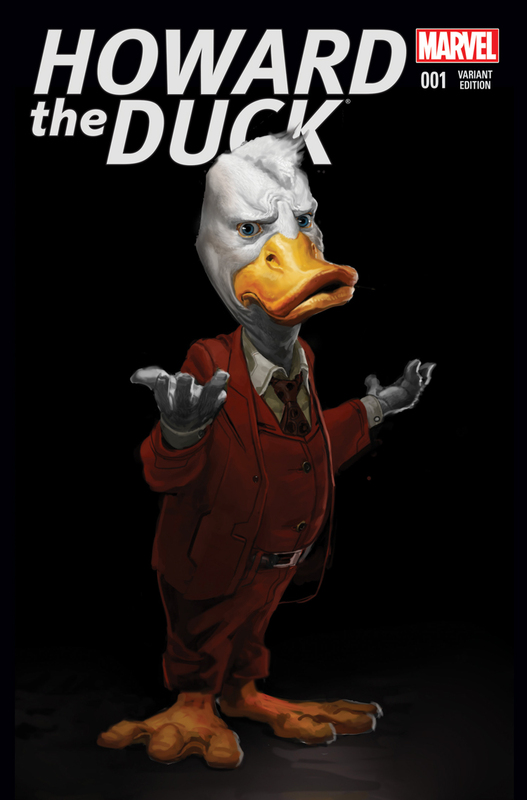 I also couldn’t stop thinking of Howard the Duck. I may never recover. Don’t mess with Howard or Dux, they’re Mallard! Mutant has a pretty strong story, using its characters and foreboding atmosphere to tell a tale that, whilst not unique, is certainly well told enough to keep one hooked until the end. This game is, even on normal difficulty, an absolute grueller. I’m scoring it thus because of how it handles its own difficulty. The first couple of small battles act as tutorials, explaining how the various systems work and how to win a battle. So it was that I swaggered into my next battle after the prologue, looking forward to sorting out some ghouls amidst a hail of bullets, and I got my team’s tails absolutely handed to them. This early battle was a massive obstacle to me as, whatever I tried, the ghouls just seemed to steamroll me into oblivion. The random number generator, the behind the scenes rolling of imaginary dice, also seemed to be loaded in the favour of the enemy too. 75% hit chances all too often end in failure whilst enemies were pulling off all kinds of trick shots as if they were Revolver Ocelot (dressed as Psycho Mantis!). Whilst the early tutorials were useful, I do feel that they were insufficient in explaining the stealth mechanics to their fullest. It took some experimentation and a lot of loading saved games for me to understand this system completely and, only then, was I able to overcome that battle. Finding some early armour and accessories also helped to level the playing field slightly, even if the sting of the RNG can be felt constantly. Characters falling in battle happens all too often, especially early on as they start with terribly low health and only a couple of shots will be sufficient to put them on the ground. Enemy types can also be an absolute irritant early on. Special kudos for this prestigious award goes to medical bots and ghoul shamans. Medical bots have the annoying power to resurrect fallen enemies, which they can typically achieve in just two turns. Not only that, they also take a good few hits to bring down thanks to being armoured. In a game where victory or defeat can hinge on just one enemy, this can be a real pain. So what’s worse than that? The shaman, who will, for his first action in a battle, summon more ghouls as reinforcements. This can send a battle from challenging to outright frustrating very quickly, your team becoming massively outnumbered from the offset. Whilst practical use of stealth pre-battle can sometimes neutralize these enemies, it is not always the case. So, as I am sure you can tell, I found this game to be massively difficult, sometimes in a most unrewarding way. Why then, I hear you ask, did I not try a lower difficulty mode than normal? Well, normal is as easy as it gets! There are two more levels above that and, following my experiences so far, I refuse to go anywhere near them. I may not be the best gamer ever, I’m probably not even a good one, but when a game is so punishing that you’re put off playing it, that is detrimental to your experience. This game is hard, sometimes too hard, and it strips away any sense of fun one might have at times. That said, experimenting with stealth and height pre battle can often wield a desirable result. This is an experience in learning from defeat, yet sometimes the RNG feels so loaded against you that loading that save and trying again seems like too much effort. Sadly, I do feel that the overbearing challenge early on would definitely put me off a second playthrough. By the latter half of the game, my party was more capable of seeing off ghoul attacks and they were dealing enough damage to put down medical bots and shamans without too much bother. That said, actually getting there is such a slog. At the opening of Mutant: Year Zero one has two party members who are unarmoured, under-gunned and, in Bormin’s case, lacking any stealth weaponry, meaning that Dux is the only one capable of putting enemies down without being detected (which he cannot do, as his crossbow isn’t powerful enough to insta-kill anything). This is primarily a problem in a couple of battles early on, just past the prologue, yet these two engagements annoyed me to the point of turning off the PS4 and doing something, anything, else (even housework). Some people are gluttons for this kind of punishment, or else super skilled at this kind of game, and to those people I doff my cap reverentially. I also suspect that they would be far more likely to enjoy a replay of this game. For the rest of us, those like me that are merely okay at video games and lack the patience of a saint, it will very much be a tall order. Mutant: Year Zero has been a very hard game for me to review, it’s also been a real challenge to play as well. I love the concept, the universe has so much potential and the characters are brilliant. I enjoyed XCOM and had no qualms in playing another game’s take on that combat system. The exploration/stealth/attack loop is satisfying to go through and makes the pre-battle setup as important as the shootout itself. Yet the dice rolls often seem ridiculously in the enemy’s favour, they can land shots worth of Annie Oakley whilst your characters often miss shots that my blind cat could achieve (and she isn’t even a mutant). Character leveling is well balanced enough and the skills can be very useful, yet a chance was missed here to make each character’s skill tree unique, with a few skills being applicable to all members of the party it feels like a bit of a cop out. The world is interesting, yet was let down on the PS4 (I cannot speak for other platforms) by samey, dull looking scenery ,and the Ark could have been far more busy and exciting than it is. Add to this some choppy audio around pauses and loading screens and the issues just seem to add up. It seems like every pro for this game comes with a con, which is very sad because this game has a lot of heart. Here’s hoping that Mutant: Year One – Road to the Shops adds a little more polish and makes those dice rolls a little fairer for all. We’d like to thank The Bearded Ladies and Funcom for supplying us with a copy of their game for the purposes of this critique. Thank you! Honestly, I loved this game to death, but I do recognise a lot of the flaws you mentioned. The sound and visuals are fine, but that’s about it. The characters are surprisingly fun, the story told well enough for what it is, and the basic mechanics were really enjoyable. I also hit that early difficulty, but once you figure out how the game wants you to play it, it’s pretty enjoyable. I liked that you could take on enemies way above your level if you had the right skills (weapons that could stun robots for a few turns etc). It was a bit janky though, and I suffered a couple of crashes and one glitch that resulted in Dux ending up on a roof that should have been inaccessible. Still, this was one of my favourite games of last year. That one was an arse! Actually, a lot of the ‘bosses’ were real tough. Eventually I started looking at combat encounters as puzzles. What order do you take enemies out in? Can you stun lock this opponent to deal with the bigger threat? Playing like that (on the easiest setting 😂) worked out pretty well for me. I’m interested in looking into the tabletop game as a result of playing it. Yeah I couldn’t find much info on that, but I bet it would be a great time! Great review! Very extensive and thought out. While I’ve never managed to really get into the XCOM series (and I should have as I like the strategy genre a lot having grown up on PC gaming), Mutant Year Zero: Road to Eden looks to have an interesting visual design, even if it can’t avoid comparisons with XCOM in many extents. Hoping to give this game a try sometime once I clear my huge list of games I want to write about and review. Glad you enjoyed the review! I do recommend giving it a try, it’s at least nice to play an XCOM type game minus the obnoxious timer that was present in 2! Missed opportunities? I hope at least once there was a “Daffy and Porky” reference in here somewhere! Also, have you played Mario + Rabbids: Kingdom Battle? There are a lot of XCOM comparisons there and a lot of similarities here, though M+R doesn’t utilize stealth to this extent, it sounds like it does use more dynamic movement options for tactical maneuvers than Mutant. It’s been compared to XCOM a lot as well, but as I say, I think they layered on the dynamism of movement in that one. I liked it!